Product Claim: Late night last night? Wake up to energized-looking, crystal-clear skin (as if you had slept all night long) with this fuss-free treatment. Combining the power of pitera and sleeping tree extract, your skin is deeply nourished all night so that you wake up the next morning with a hydrated, bright, and smooth complexion. Leave on overnight. Do not rinse. After washing your face the following morning, apply the rest of your normal daily regimen. Pros: This Allure Best of Beauty award winner is highly deserving of it’s title. While it won’t cure a handover or make up for only 3 hours of sleep, the overnight mask will even out your complexion, leaving in moisturized the following morning. 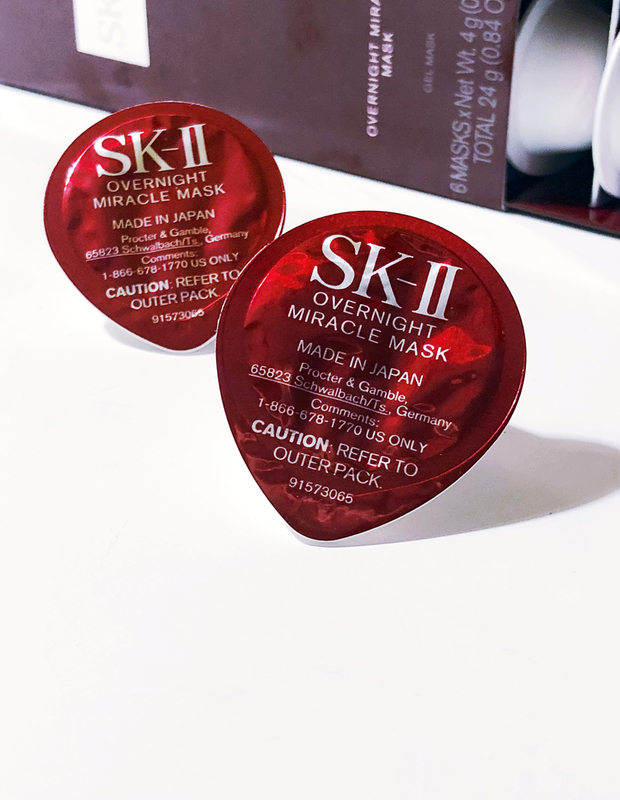 Cons: The only con with the SK-II Overnight Miracle Mask is the same con I find with all overnight masks: if not applied with a light hand you’ll end up sticky and the product won’t absorb when bedtime rolls around. To combat a tacky face, I apply the mask at least 1/2 hour before bed and only use about 1/2 of the capsule instead of the recommended full dose. Not only will your product have ample time to absorb but you’ll also have double the dosages, making this $100 pack last longer. Just remember to properly seal the capsule back up in a baggie so it doesn’t dry out!